On the International Day of Older Persons Older, activists from more than 45 countries across the world will join the United Nation’s call for “a stand against ageism”—said by the World Health Organisation to negatively affect older people’s physical and mental health. “In Ethiopia, people say we don’t have any value. I don’t accept that. We shouldn’t accept the negative things people say about older people. We need to start challenging these attitudes,” said Tilahun, a steering group member of the Age Demands Action, a campaign by the HelpAge International. Ageism is an issue relevant to everyone. We are all growing older, yet perceptions and assumptions about people based on their age surround us. Older workers may be overlooked for promotions or forced into retirement when they are capable of staying on. In hospitals, older patients may be put to the back of the queue by staff who believes their ailments are just age-related or a low priority compared to those who are younger. Negative attitudes about ageing and older people also have significant consequences for the physical and mental health of older adults. Older people who feel they are a burden perceive their lives to be less valuable, putting them at risk of depression and social isolation. Recently published research shows that older people who hold negative views about their own ageing, do not recover as well from disability and live on average 7.5 years less than people with positive attitudes. By 2025 the number of people aged 60 and over will double, and by 2050 will reach 2 billion globally, with the vast majority of older people living in low and middle income countries. “I experienced ageism when I was searching for a job. They told me that I was too old and my health would mean I would not be a productive employee,” said Jean Louis, an older man from Haiti. Age limits applied to policies such as retirement age for example, do not recognize the range of capacities of the older person – and assume that all older persons are the same. This deeply entrenched institutionalised ageism may be used to discriminate against older adults when allocating health resources or when collecting data that influence health policies. According to Dr John Beard, Director of World Health Organization’s Ageing and Life Course, ageism is a pervasive form of discrimination that can prevent older adults from living fulfilling, meaningful lives and can have a serious impact on an older person’s health and functioning. It is time the world took stronger action to combat it. “Ageism is a driving force behind the denial of older people’s rights. While other forms of discrimination are prohibited by law, age discrimination is often not, including under international human rights law,” said Justin Derbyshire, Chief Executive Officer at HelpAge International. “We want governments to accept that a new UN convention on the rights of older people is critical to changing ageist attitudes and protecting the rights of older people. To ensure they understand the importance of such a treaty, we must bring older people’s experiences of ageism to their attention,” added Derbyshire. 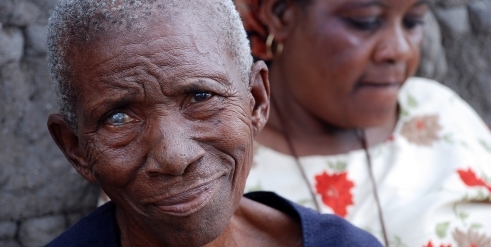 In May 2016 the World Health Assembly called on the Director-General to develop a global campaign to combat ageism, and implement the WHO Global Strategy and Action Plan on Ageing and Health. The International Day of Older Persons, celebrated on 1 October, highlights the important contributions that older people make to society and raises awareness of the issues and challenges of ageing in today’s world. The theme for 2016, Take a Stand Against Ageism, urges everyone to consider ageism and the detrimental impact it has on older people.